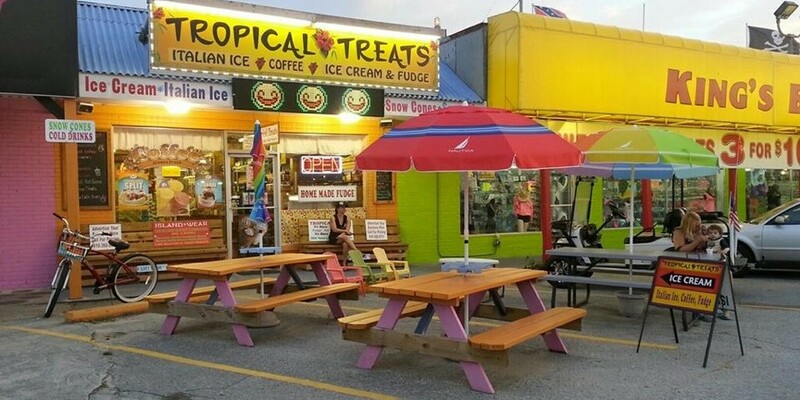 Just minutes from the beach is the best place for all your summer fun treats. Eat-in or relax outside on our food court and enjoy the taste of Tropical Treats. 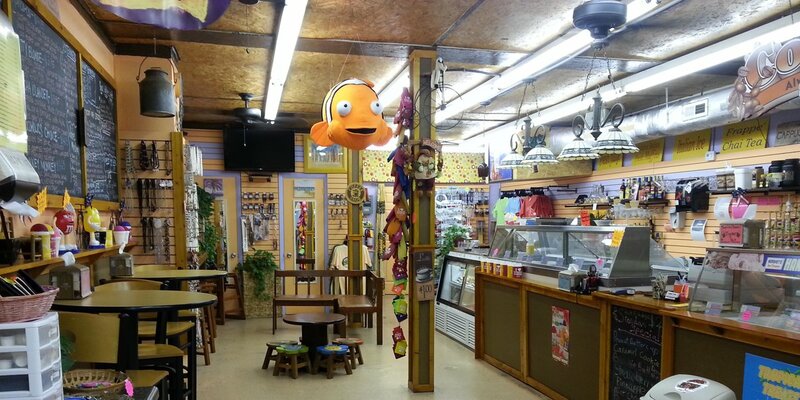 The Best treats on Oak Island! Be sure to stop in for the most Refreshing Dine-in Treats. We offer everything from Frozen Raspberry Lattes and Sponge Bob Snow Cones, to White Lightning Espressos and Hot Fudge Sundaes with Wet Walnuts. We have plenty of outdoor seating for all our guests. Relax, cool off and enjoy a tasty treat with family or friends. Our friendly staff is here to take your order and welcome you to our little shop. Don't feel like leaving the beach? Just look for our Tropical Treats mobile carts. We have mobile Italian Ice carts moving up and down the beach of Oak Island. No matter your taste in flavors Tropical Treats has something for everyone. We are open late during the season. You had a fun filled day at the beach, maybe went out to eat and then did some shopping here on the island and now you crave your favorite treat. 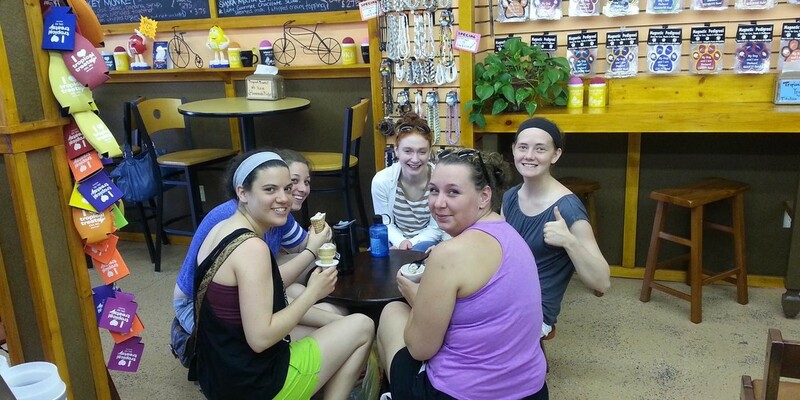 Tropical Treats is open late to accommodate you, your family or friends. WILL BE OPEN FOR THE SEASON THIS WEEKEND 3/24/2017 THRU 3/26/2017 JUST THE WEEKEND UNTIL EASTER WEEKEND AND EASTER WEEK AFTER THAT WEEKEND DEAL UNTIL FIRST OF MAY THANKS FOR UNDERSTANDING.